Bear with me now. My logic is sound. I purchased a huge distraction to get rid of all my distractions… It makes sense if you think about it. No, wait, I had that backwards. It makes sense if you don’t think about it. Just don’t think about it. 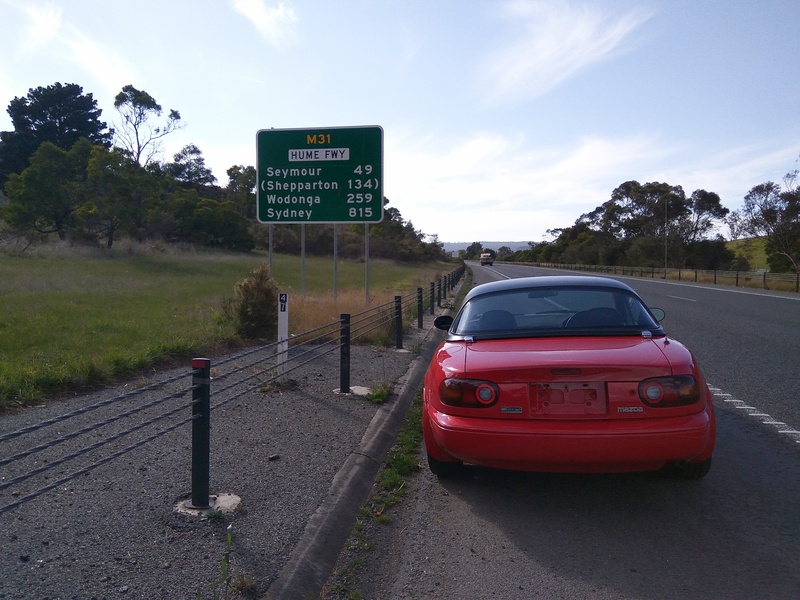 Buy a car over the phone without inspecting it, with only half a dozen small blurry images to go off, and fly interstate to drive it 850km’s home. Take that distractions! 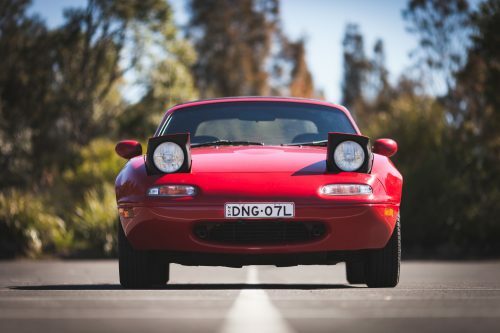 So now that I have less distractions it is time to work on the… MX5? There’s something thoroughly enjoyable about baptising a new-old car. I don’t dunk it in water though and there’s very little scripture babble going on. Instead, all oils are changed out and some cursing might occur. I was lucky with this car as all previous servicing had been done by the book and stamped in the book. The service book that is, not The Book. It didn’t take long to go over the whole car and I had quickly run out of things to repair. 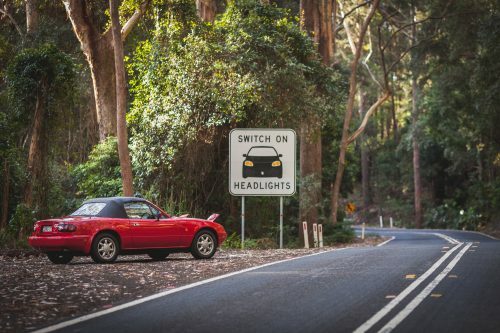 Ironically it is the complete opposite situation to the 240Z. Some minor repairs to the door handle, sludge in the washer bottle, a shifter kit, replaced the pod filter with stock air box, replaced wheels with stock ones and she was good to pose for some photos. Back to my sound logic then… Why did I buy a car that will only distract me from finishing the Z…? Let me answer that question with another question. 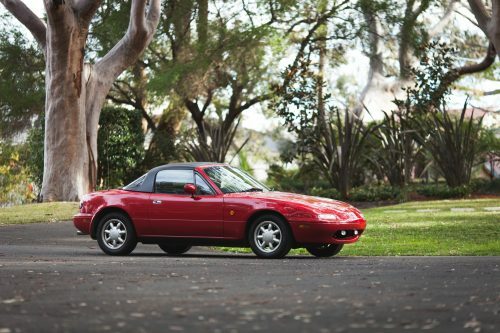 How do you satisfy your need (yes my lovely wife, it is a need) to go for a soul refreshing drive if the only car you want to drive is in thousands of pieces? I just could not imagine the years ahead without something enjoyable to drive. What I can imagine is being frustrated and losing interest in the Z because it always seems so far out of reach. 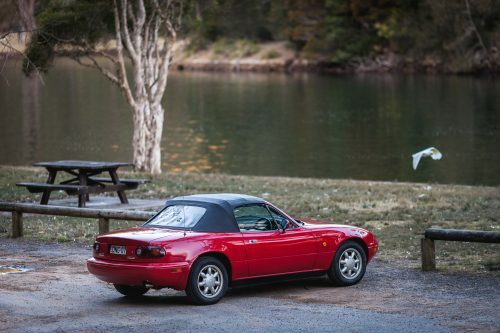 The MX5 is my mistress in a way. 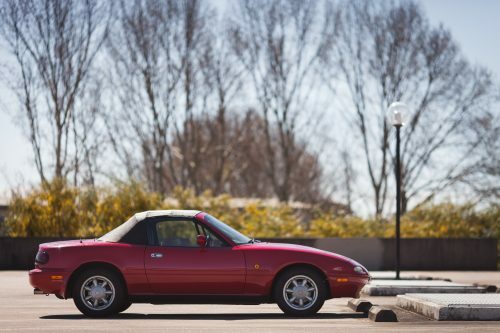 She’s younger than the Z, easier and less expensive to maintain, loads of fun and she’s pretty tight… suspension wise that is. I shopped around for months to find the right ride and as with the Z I looked for an early example. I was hoping for a 2 digit VIN but settled for #269 in the end as it was too good to pass up. 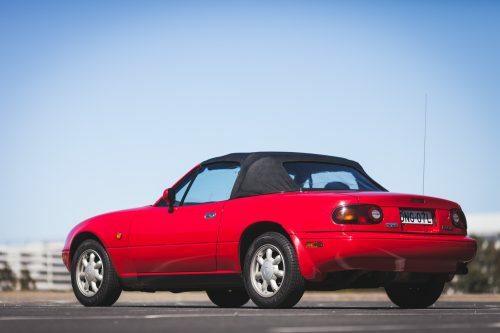 It has only been through 3 to 4 mature owners all of who managed to keep it stock and used it sparingly with only 128,000 km clocked up since 1989. I won’t bore you with any more updates on the little 5 but if you are interested you can follow our journey on Instagram and on my blog at headlightsgoup.com. The pace at which I’m completing small projects related to the Z can only be described as glacial. This winter I’ve spent more time buying parts than working on them. I’m slowly ticking off items as they come up and as the budget allows. One of the more interesting items I picked up was a door mirror. I thought I had hit the jackpot with a brand new right hand drive mirror but alas, it was just another left hand one posing as a gem. Things are looking up though. 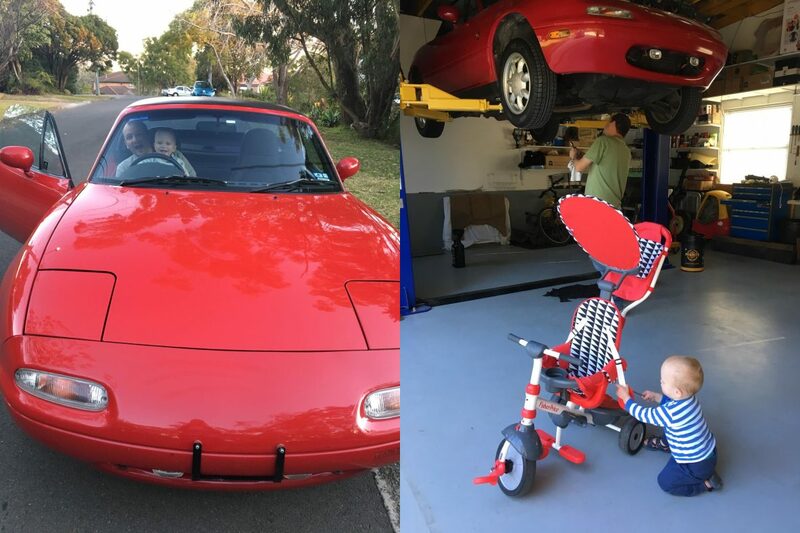 I have my willing mistress, my little apprentice is growing up and taking an interest in cars, some much needed parts are coming in and spring is in the air.